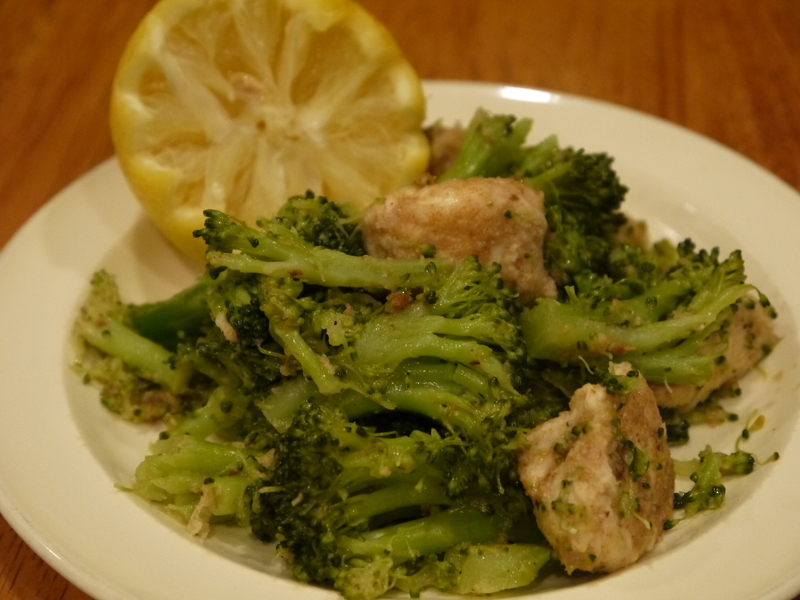 This dish is ridiculously healthy. 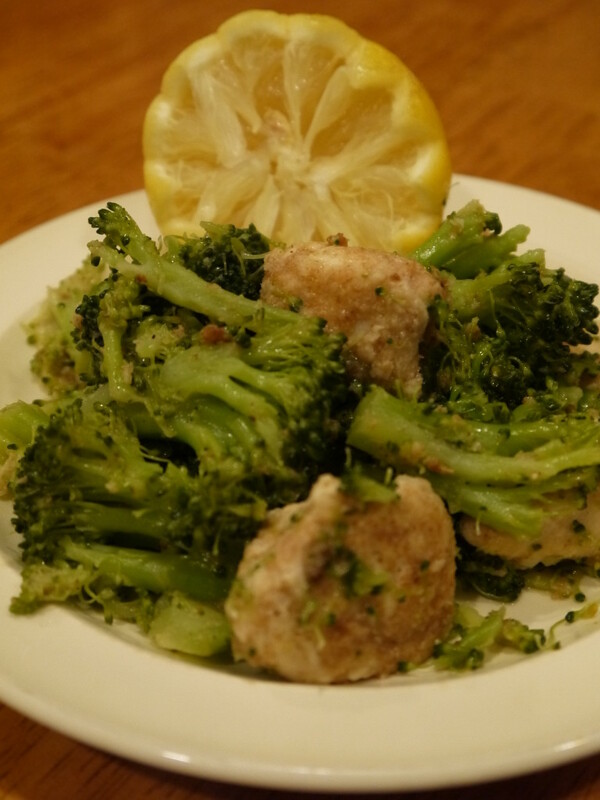 Loads of vitamins, nutrients, and fiber from the broccoli, loads of vitamin C from the lemon, with tons of protein from the chicken–this dish has it all. Add 1 cup of the chicken broth to the same pan you cooked the chicken in, along with the minced garlic. Make sure to scrape up all the deliciousness from the bottom of the pan! Add the broccoli, season with salt and pepper. Cover the pan and cook for a minute or so until it is crisp-tender. Stir in the chicken and lemon zest until heated through. Add the lemon juice and gently toss to coat. 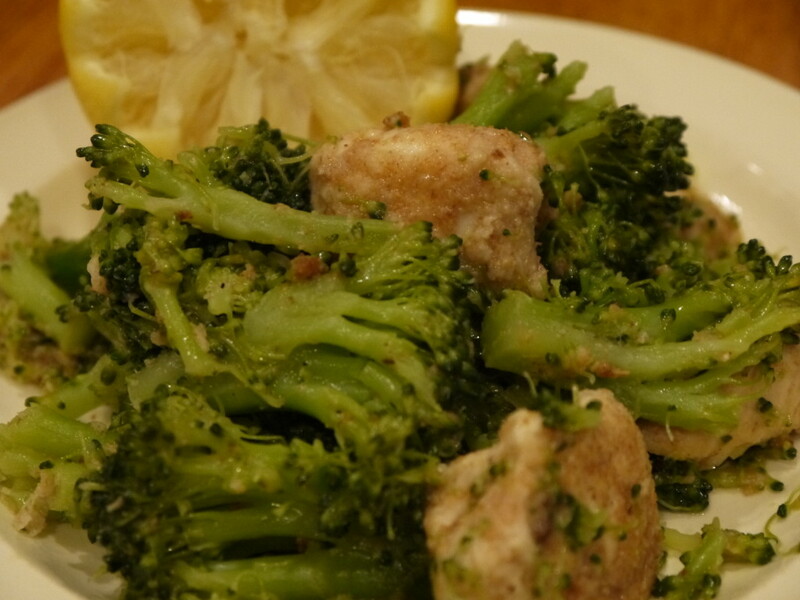 This dish is delicious on its own, but it would be great over rice or pasta as well!